One of my absolute favorite things about spring and summer are the longer days. As soon as the time changes, my schedule changes. I’m up and out the door for my morning run before anyone in my house is even awake, and it’s my favorite part of the day. The other reason I love the spring is the sun. This spring we’ve had very little rain, and it’s been warm and sunny. It’s like a little reward after our brutal winter. So when my six-year old decided that she wanted to make cupcakes, we agreed on these Fresh Lemon Cupcakes. They reminded us of sunshine, and their bright, tart flavor is perfect for warm weather. The cupcake itself is a lightly flavored lemon cake. It’s fluffy, moist, and the perfect balance to the lemon curd filling. I love lemons, and the lemon curd inside these Fresh Lemon Cupcakes is bursting with tart lemon flavor. It’s the kind of lemon curd that packs a punch, but since the curd is surrounded by moist cake, it’s sharpness is tempered, and you’re left with a pleasant, fresh lemon taste. The topping on these Fresh Lemon Cupcakes is my family’s favorite vanilla frosting. It’s fluffy, light, and not too sweet. Head on over to one of my favorite blogs, Tastes of Lizzy T’s, to get the full recipe, or you can click here for the full recipe. It’s so easy, and so worth it! Sounds delicious and looks so cheery! 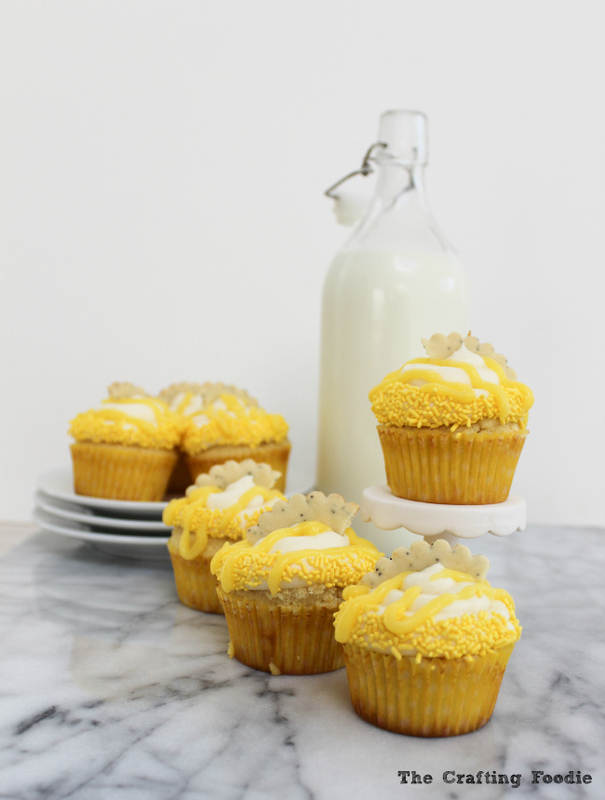 I am such a lemon fanatic and these cupcakes look amazing! The yellow just pops and I can just imagine the sweet yummy tartness! I love citrus in desserts! 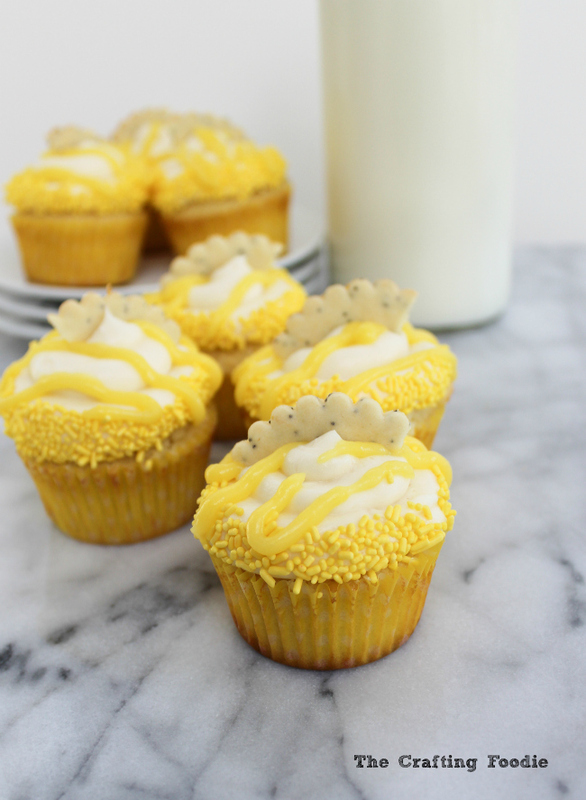 These lemon cupcakes look just delicious! Me too, Marissa! I love citrus desserts because the acidity is such a great balance to the sweetness. Thanks so much Jerusha! I love lemon everything – sweet and savory! Thanks so much! I will stop by right now! 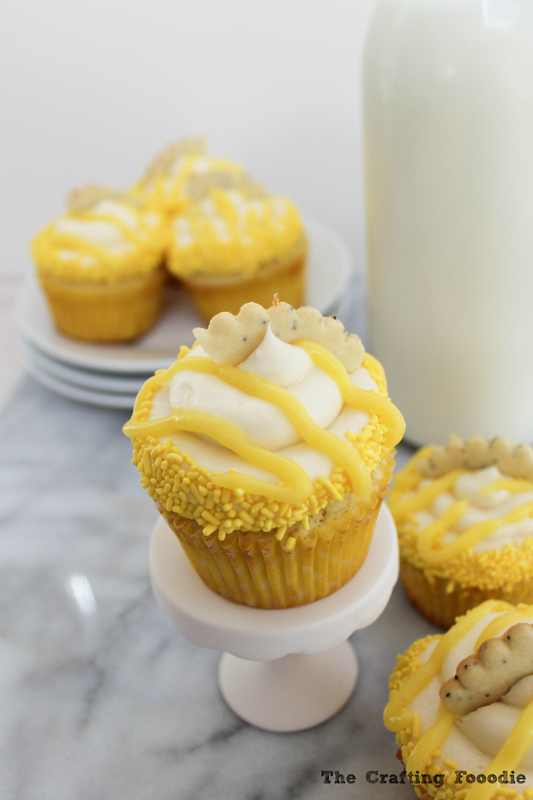 I’ve been craving lemon like CRAZY and these cupcakes would sure hit the spot! They also happen to be absolutely gorgeous!